Fall Through the Years. 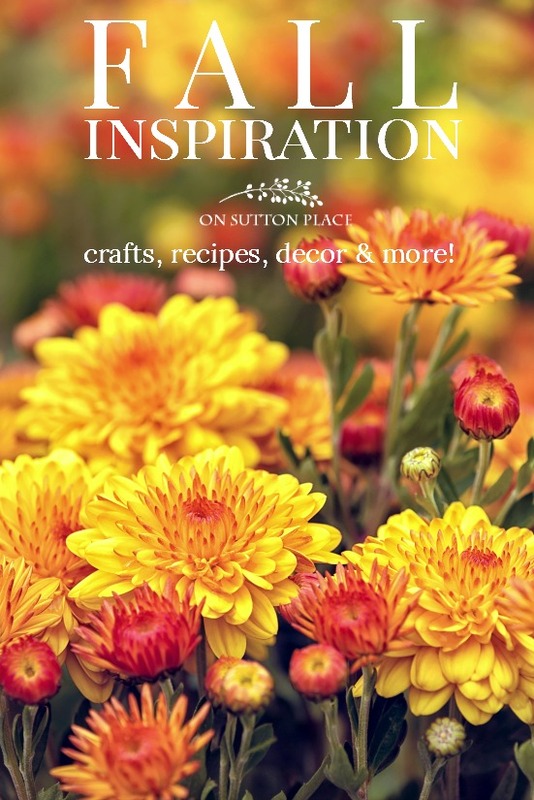 Decor inspiration, fun crafts, fall wreaths, and yummy recipes all in one place! Easy links to find exactly what you are looking for. Every once in a while I get to looking through my archives and see things that I forgot were there…so I know I have things you’ve forgotten about too…or perhaps you’ve just recently found me and don’t even know what I’ve shared. Either way, I put together all of my Fall posts since 2012 in an order that makes sense with easy links that lead to the correct pages. It’s organized too…for example all the recipes are together but I’ve gone a step further and broken them into categories. I’ve tried to make it as user-friendly as I could. Every image is clickable. Each link opens a new browser window so you can always go back to the page you just came from. This first group is divided into years and each one features my Fall decor for that year. Fall decor is timeless so there is plenty of inspiration for tweaking what you already have…or maybe even adding something new. You all know how I feel about wreaths. 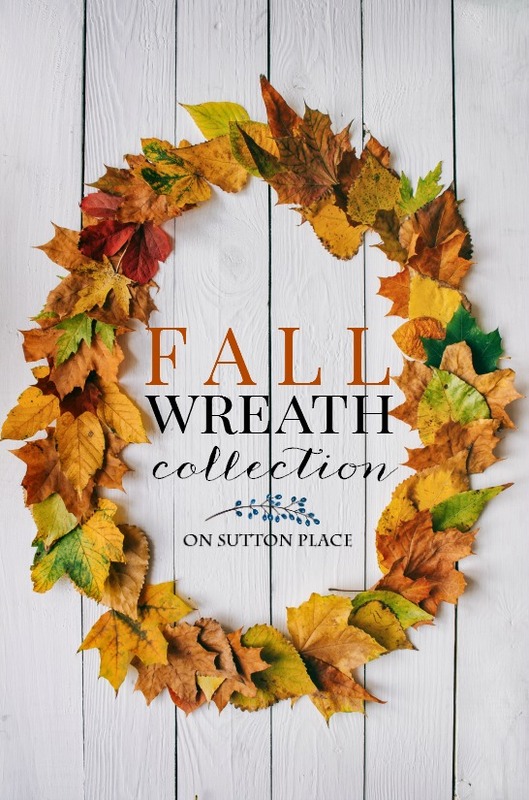 Especially fall wreaths. Slightly obsessed would be putting it mildly. When I started looking through all my Fall posts even I was shocked that I have shared so many different ideas for fall wreaths. I’ve gathered them together so just click on the image below to see what’s there. I’ve always been a crafty person but really never gave it a lot of thought. My kids used to say I was doing my “arts and craps.” Crafting, at least for me, is relaxing and rewarding. The time just flies and when a project actually turns out to be cute, it is the best feeling. Click the image below for everything from burlap projects to little fabric acorns. I hope you enjoy looking around! and all my fall-inspired recipes. This is one of my favorites “places”. Always look forward to seeing what you are up to! Thanks for sharing! The previous years ideas are such a great addition. As you stated, some of us are new and have missed some really great posts. Love the acorn wreath, now out to the back yard to pick some up. Oh Ann, how I love your blog. The limelight wreath is just out of this world. Thanks for sharing and making my day. Oh my goodness! I should have started over! Sorry! So impressed with how you set this all up! Did the sliding windows for your “Fall Through the Years” come with your website theme? Very intuitive and user friendly. Love all the printables in one place, too. What program do you use to create your printables? Hi Julie! The sliding windows are a special plugin that functions with my theme. I use various programs to make the printables. Mostly Photoshop but I also use Canva and Picmonkey. Thank you! Enjoyed your videos. And thanks for all the Fall inspiration ! I love the way you organized this post. So many great ideas all in one place. I am looking forward to coming back to this post when I start my Fall decorating. I will definitely be making some of your recipes too. Good afternoon! Thanks for all the beautiful ideas for Autumn decorating. Love being able to look back through the years & review beautiful wreaths & craft ideas. Autumn is my favorite season. Love the colors & crisp cool evenings. Looking forward to decorating my new home this Fall. Your pintables are so beautiful and easy to download. I print some out each season and update my décor. Happy Monday! Thanks for all the beautiful ideas for Autumn decorating. Cooler weather can’t come to Texas soon enough. I’d like to echo a previous comment from Debbbie – You.are.my.favorite.read!! Thanks Ann for sending all of the great Fall ideas. I really enjoyed looking at them. I love to get your email to see the ways that you decorate your own home. I believe that you and I have similar tastes and I always get great ideas from you. You.are.my.favorite read! Thank you for every post! I love them! Hi Peggy! No…I don’t have a cookbook. It’s something I have thought about but never investigated. Perhaps I should! When you started talking about recipes, it made me think of my mother’s recipe box. More than the recipes, is seeing my mother’s hand writing. That plain, old gray metal box is a treasure! Oh my gosh, Ann! Thank you So So much for the post!! I am new to your blog site and all of this is completely new to me. No doubt I will return MANY times to take advantage of your wonderful Fall decor ideas!! Fall is my favorite time of the year! I was ecstatic to see this post. I have bookmarked this page and will definitely keep coming back to visit it. What a great idea. Thanks! Thank you Anne! There is so much wonderful inspiration in this post and I’ve only made it through the first part! It has been like a walk down memory lane seeing posts I recall from a few years ago. Seeing them with fresh eyes, I’m finding new things to pin to my Pinterest boards. I’m also noticing how many of your projects I have made because they are among my most favorite. I’m sure this post took quite a bit of time to assemble since it is so well organized and user friendly and it will be my main source for everything “Fall”! I hope you have a most wonderful day! Thanks for your lovely posts. I feel that as a mature woman they are more relavent to me and where I am in my decorating and crafting life. I enjoy your printables and drive my husband crazy as I change out a little frame in my kitchen every week. I recently made the dried rosemary wreath – a smaller version I hung in the window- that you featured a couple of weeks ago and have received many compliments! Hello Ann – First off, thank you so much for this post! Thank you for your time and work putting this together to make it so easy for us! I am a longtime faithful reader and even I had forgotten about some of your beautiful posts! So thank you for sharing this! In looking at these fall posts, I have always admired the star pumpkin that you have used for several years but never read anything about or asked about it. Did you make it or was it purchased that way with the star cutouts? I have actually loved it for many years and always look forward to seeing it in your fall posts. Thank you for sharing all of your creative talents with us! ???? Love your pillows and printables! Would you please consider also offering your pillow covers in a lumbar size? 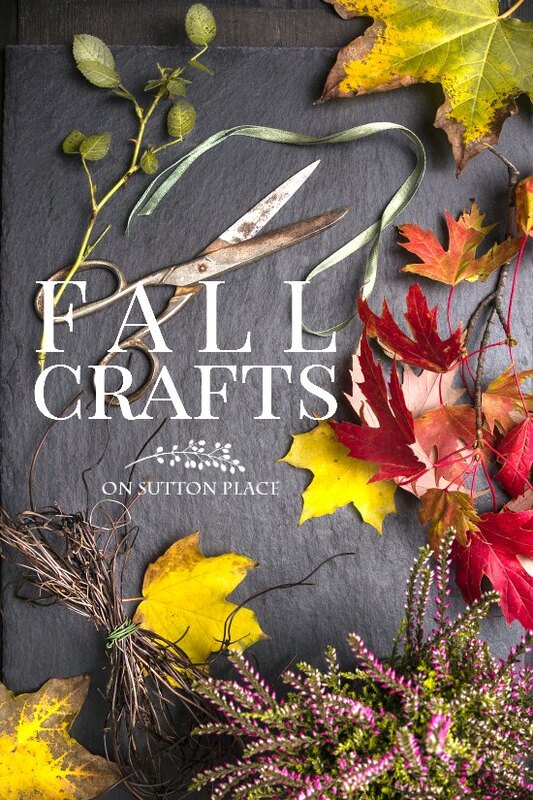 A great resource and inspiration for all things Fall….love how you organized all of your beautiful ideas! My goodness that was a lot of work, but then I’m sure every post is, Thank You! I love Fall! What a lovely blog you have Ann. I appreciate all the planning and organization required to present such an organized and inclusive view of your life via decor, cooking, gardening and art. As soon as I have more than a minute I plan to review each years compilation. Have a wonderful Sunday. These are keepsakes for sure! Thank you for posting as I enjoyed walking through the years. I never grow tired of revisiting autumn ideas!! I love the way you put all of this together. Extra smart! Always look forward to Sunday morning after my devotions seeing what you’ve sent for the week. Great idea to look back and refresh ideas that we’ve shared. I’m not quite ready for fall yet. Alabama is still very summer. And will be until October. But I’m keeping this for when I’m ready to change seasons. I’m so glad I found your blog. Just absolutely awesome and inspiring. Thanks Ann you are so good to share with those of us who don’t have your gift of decorating. Helps make me look good. I love it when my favorite bloggers start posting Autumnal inspirations from their past postings and the seasonal changes from where they live. I live in Hades, ok in the low desert, so this makes me feel cool and excited for the coming season, my favorite, Fall! Always enjoy your thoughts, projects, and food:). Oh, I love this. First, I love your home, but now I don’t have to go back through all your archives looking for something I read somewhere, oh where was that? Your style and décor are stunning and perfected. I will be using this a lot this fall. Thanks again, and by the way I like it that you don’t paint all your lovely furniture pieces. You just make them more beautiful. I love the color of fall leaves, and watching them float down. Crisp mornings and using our wood pellet stove. Dogs snuggling up to keep us warm. Drive out in the country to see the beautiful country scenery. Warm throws on the chairs to snuggle under and read a good book. Wood piles next to houses, ready to put to use. Pumpkins and mums at fruit stands and even the grocery stores. These are my favorite things and the coming of Christmas! Love your Blog, very inspirational. Thank you for the free printable. I love changing of the weather and the crafts that come along with it. just wanted to say thanks for the free printables….I printed “I can smell autumn”….on ecru art paper…then bought a 3 pack of thin 11 X 14 canvases from Hobby Lobby…painted the canvas a pretty gold color…I decked the edges of the saying…then dabbed burnt pumpkin art paint on the edges…a little glitter glue..then I mod podged the saying to the canvas…3 coats….took some wax mixed with burnt umber paint and finished it up…darkened the edges with the burnt umber…I LOVE IT….I will be propping it up in my living room area on a cabinet…along with some fall decor…next weekend…. Hi Ann, what a great idea to gather your decor by season and then by year . It’s lovely to see the changes that your decorating ideas have taken over the years . I will do this in a couple of weeks when fall arrives at my home too . Great ideas ! Too, Too early!!!! It’s August! Beach & Sand weather and great summer Vegies! I realy love this idea, putting it all in one place like that…and your free printable are very inspiring. I love the fall in all its glories from colours, food and scents, so wonderful. FABULOUS, FABULOUS, FABULOUS! Thank you for this gift! By the way, I keep forgetting to thank you for the post you did awhile back on farmhouse fabrics. I purchased some of the grain sack from Decor Steals and oh my word, do I love it. I had been on the search for tablecloth fabric that would look nice, but could use for everyday too. That really fit the bill. (I wrote about it here: http://theredfeedsack.blogspot.com/2015/07/a-farmhouse-tablecloth.html). I really meant to write and thank you right away and of course, forgot! I loved revisiting your gorgeous Fall home over the past few years and can’t believe it’s already time to do it all over again! I look forward to seeing your Fall tour this year … will, undoubtedly, be festive, beautiful and inspiring! Wish I had the day to just sit and browse. Adding some new things to my Pinterest files. Can’t wait to see the wreath and other crafts you have planned! Lovely post for fall. I was looking at your stencil post this am. I would love to get a number stencil like you used, but can not find it on Consumer Crafts site. Am I looking in the wrong spot? Thanks so much! Hi Karen! What stencil are you referring to? Oh, Ann! How wonderful for you to do this!!! If I were there I would give you a big hug! I know this was a lot of work, but it is so organized and so helpful. Thank you. Thank you for your generosity in posting all of these wonderful Fall ideas. I appreciate it! I always love to get on your site because there is always something new and good, but today I am finding so much Fall that I can hardly stand it!!!!! It’s my favorite time of year and everything on here today is so beautiful and colorful and Fally and I can’t wait to get to all of it!!! Thank you so much for your talent and creativity and your willingness to share–This post has really made my day!!! Hi Anita! Thanks for taking the time to leave such a nice comment…it totally made MY day! Thank you so much for these great ideas. I learn from every posting. Your blog is perfection as is. The new organization is a good value added. I just found your blog a few weeks ago & must tell you how much I look forward to each new post. I enjoy decorating our home for each season, but fall is my favorite. Your blog has my “creative juices” flowing! It’s very hot here in Texas & cooler temperatures won’t come for quite a while, but I’ll start decorating for fall in mid-September. I can hardly wait to get started! I love your recipes. I always look to your blog first when I want to make something. Your bread recipes are a staple at my house! A huge thank you! I love your postings. Love that you posted back to 2012. Fall is my favorite time of year. I have a hard time waiting until Sept. To bring out my fall decorations. I can’t believe fall is so near, but it’s definitely in the air here. I can feel the cooler temps :) I agree I need to find some new fall ideas too (is there actually any that haven’t been done?). Totally agree w/previous comments! This comes at such a good time for me, here deep in the heart of Texas! I won’t be getting any cool temps soon, but I’ll ‘fake it til I make it’ with your help, Ann! I’m so inspired by your fabulous wreaths (I thought there was nobody as crazy about them as I was. Delighted to find a kindred spirit!) The apple recipes make me nostalgic for my hometown’s Johnny Appleseed Festival, and I’m already planning to make several of your pumpkin delights. Thank you for your wonderful contribution to my home and hearth. Love today’s post – THANK YOU for organizing it. I did not discover your blog that far back so this will be a treat today as I explore each area. I love fall – my favorite season. Even though it is hot and sticky here in Minnesota today, fall will be here before we know it. Love the smells, colors and those wonderful trips to the apple orchard. My favorite thing is to crunch through the leaves when walking…just like I did when I was a kid. Thoroughly enjoyed the Fall Years. I have not been on Pinterest for about 9/12 months I guess. So, really enjoyed this “Looking Back” Pin of yours. Trying to get ready for Grandson’s third Birthday Party. Don’t want to quit reading. Thanks so much. Have a Blessed Sunday. Ann, I really enjoy your blog and you pintrest site. We moved from your neighborhood five years ago and the projects you create make me a bit homesick for NWO. My favorite season to decorate my (new tiny porch) is fall and I will use a couple of your ideas. Thanks for the organized ideas. Lots and lots of good stuff here Ann! Yes you do forget all that you have done. It is nice to refresh it. You have provided a great service for all your new readers and us who have been with you from the start with this terrific menu of autumn posts. Thank you for your inspirations which I have used innumerable times. What a beautiful and well-organized collection! Thank you, Ann, for the time you invested to help us all create a beautiful fall for our homes. Your posts are always so thoughtful and just appear at the right time!